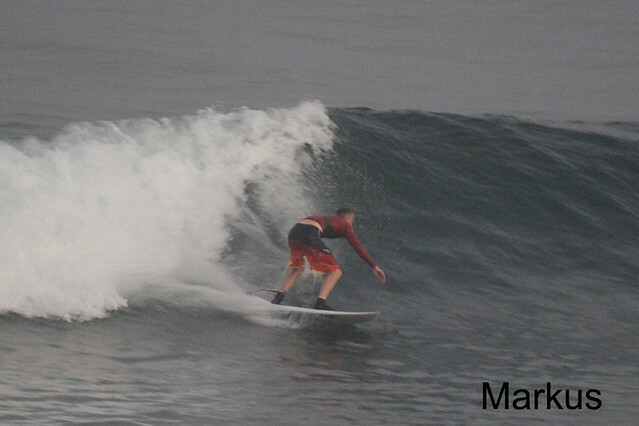 Advanced group surfed Uluwatu at dawn this morning. 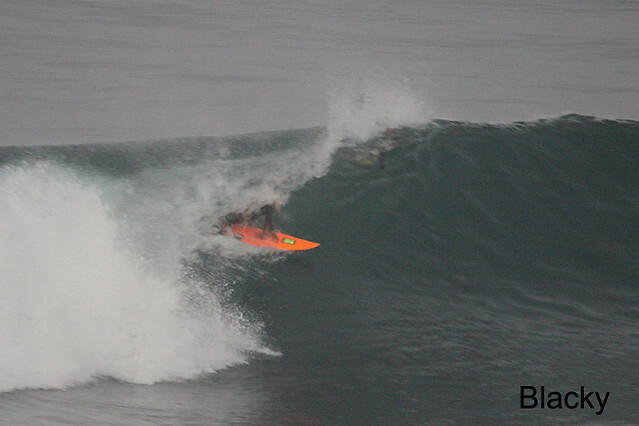 Very clean and shoulder-head high with some barreling overhead sets (see photos). 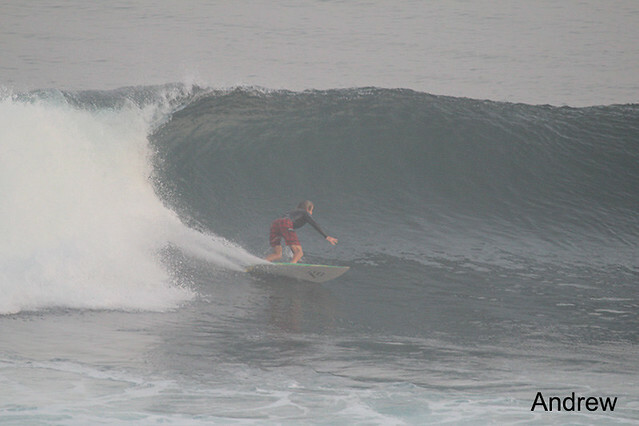 Intermediate group surfed Balangan early this morning, clean, head high and are staying there for the second session. 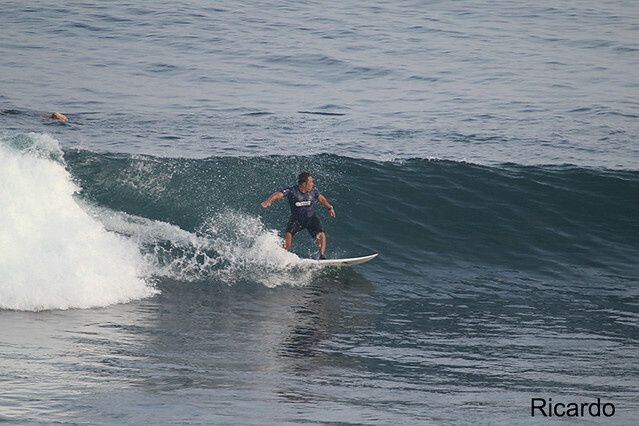 Beginners surfed Padang Padang and had an amazing session with just them in the water. 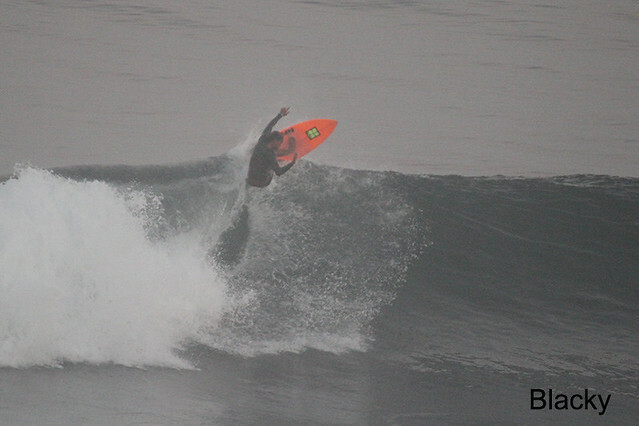 Sunny, light offshore winds.